Unique furniture and functional art. 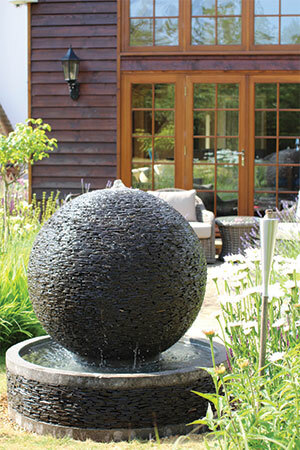 After studying Landscape Architecture at the University of Gloucestershire, Tristan Cockerill worked as a Landscape Designer for several years specialising in coastal properties. He then spent a year travelling the world and investigating different styles of fashion and landscape design. During this time, Tristan works with his mother, father and sister a true family business. 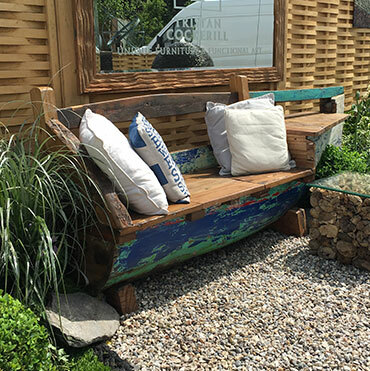 "Mission statement: Through the re-use of natural reclaimed materials, we can convert redundant items such as old fishing boats and washed up driftwood, into innovative and imaginative products to be enjoyed by future generations to come, thus protecting our non-renewable resources." Based in the heart of North Devon’s countryside, designer Tristan Cockerill designs, buys and sells sustainable furniture and functional art using reclaimed driftwood, root balls, and slate. 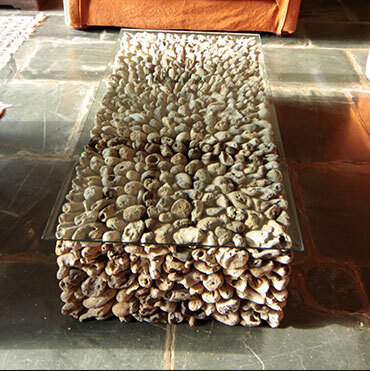 The products re-purpose natural materials into eco-friendly, innovative pieces of furniture and sculpture, which take an organic form. 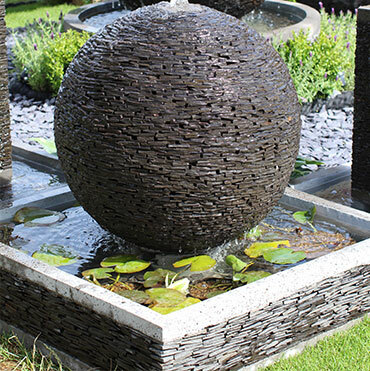 The design for each piece is born out of the natural structure and properties of the material, making each piece completely unique. 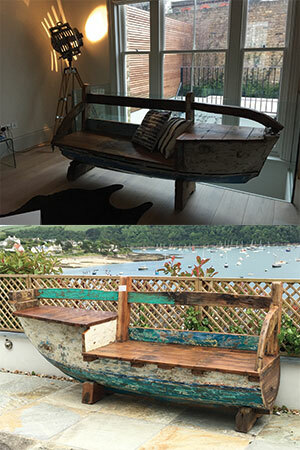 Tristan also sources old fishing boats which are recycled into beautiful seating and furniture for the home and garden. Again, the original shape and identity of the boat influences the new design, thereby ensuring that the new piece retains the soul of its previous life. Standard designs are available to purchase, or, if you can’t find exactly what you’re looking for, Tristan creates bespoke pieces to suit individual requirements. 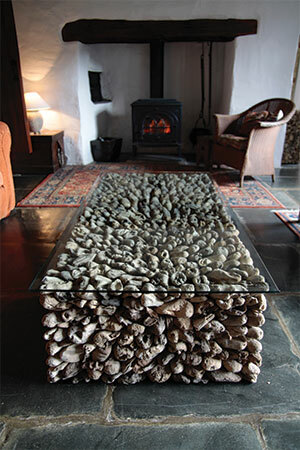 Tristan Cockerill Ltd is best known for creating handcrafted driftwood and reclaimed root tables, which are inspired by the coastlines. 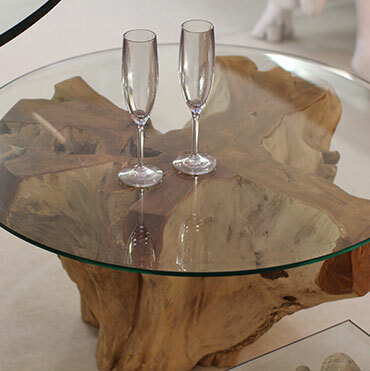 The carefully crafted wooden table bases are topped with a toughened glass top to create high quality, innovative, pieces of furniture. Tristan’s driftwood and root tables are similar to the table featured in the BBC’s Saturday Kitchen, hosted by celebrity chef, James Martin. 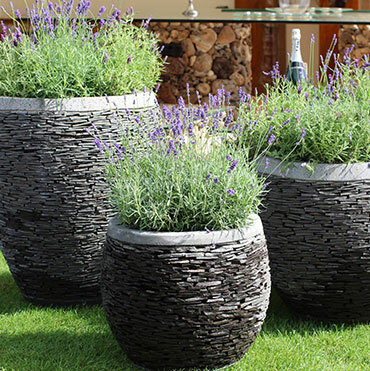 Tristan also sells reclaimed slate, which is worked in to planters, lanterns, water features, and ornamental garden sculptures. 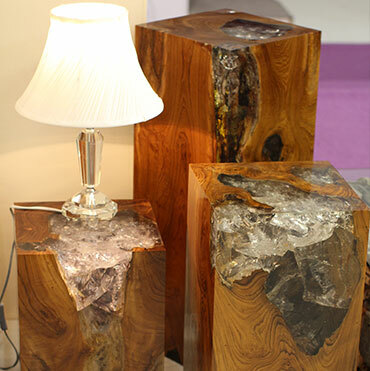 Lately, the company has been encompassing the use of resin into the design of his wooden pieces, giving them a sleek, translucent quality, which acts as a beautiful contrast to the opaque grain and density of the driftwood. Another signature ranges is his old boat seating and furniture. No two boat designs are the same; each boat used is slightly different in shape, colour, and individual appeal which has been shaped and moulded over the years by the sea. It is this unique identity that we aim to carry through into the boat’s new life. 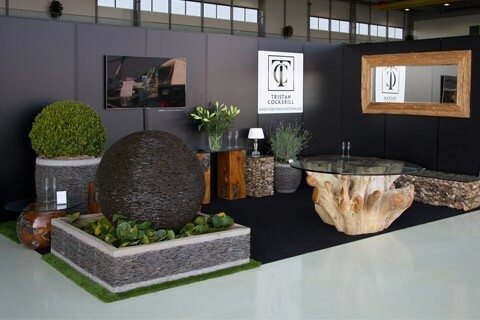 Tristan regularly exhibits at some of the UK’s most prestigious home and garden design exhibitions, with his main event of the year being Chelsea Flower Show. 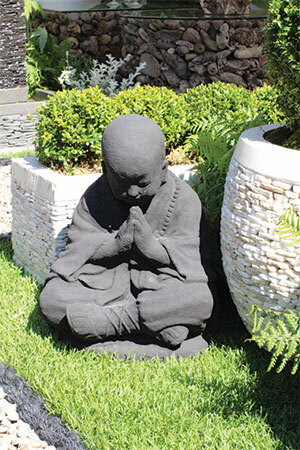 The products are regularly purchased by high profile buyers and celebrities who enjoy the individuality of the work – each piece is exclusive to the buyer and cannot be fully replicated. 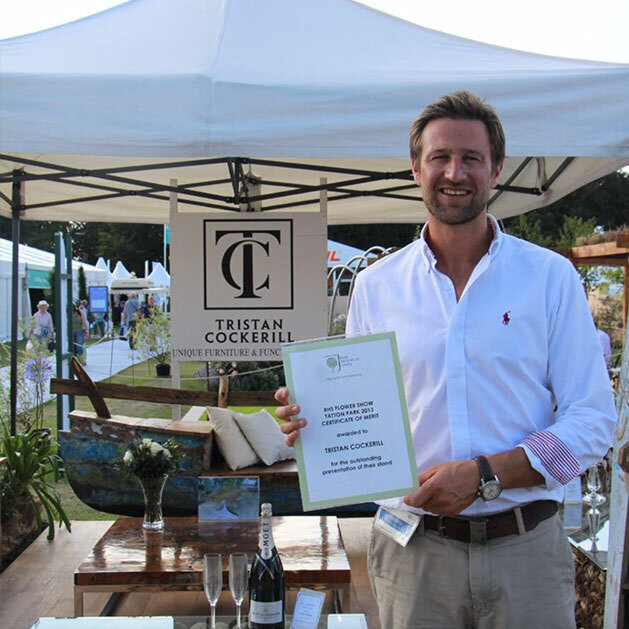 Tristan won awards at many RHS shows across the country and has been used by companies such as Sunseeker Yachts in large exhibitions and events.